DAVID LE/Staff photo. 3/31/15. 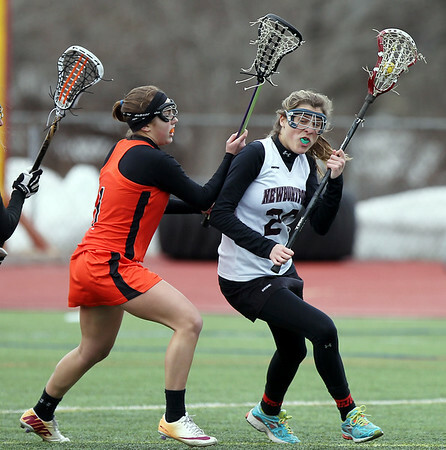 Newburyport midfielder Olivia Kearney tries to force her way to the net while being held off by Beverly's Marita Smallman (1).